Back to Basics is located in Terryville, CT and is a local leader in the feed, farm, lawn and garden fields, by offering quality products and top-rated customer service at a fair price, while giving back to our community. Back to Basics was founded in 1980 by Dave and Sandy Ciffone, for the sole purpose of bringing feed and farm amenities to the residents of Terrryville and its surrounding towns. Dave and Sandy ran the business until selling it in 1997 to Chris Wald. Chris substantially grew the grain business throughout the Litchfield hills, by offering grain delivery. In 2007, Chris Wald sold the business to Dave and Andrea Perugini. Dave and Andrea had previously supplied the store with nursery stock, from their wholesale greenhouse operation. They believed that purchasing a Main Street location would be a handsome addition for selling farm and nursery products. They additionally built a 5,000 square foot greenhouse which helped to grow their farm and retail business. Current offerings include: vegetable and herb plants, berry plants, annuals (including hanging baskets and bedding plants), and perennials. Coal and wood stoves started being sold to offset a slump in winter sales. This aspect of the business quickly grew to begin offering stovepipe accessories and a large inventory of coal, wood pellets, and bio bricks. We also began to offer a large selection of holistic dog and cat food, due to the demand from our clientele. We expanded our space in 2012, which allowed for additional grain storage and doubled our retail space. This addition allows us to offer a full line of farm related hardware and establish storage areas for a growing internet business. This additional storage space allows us to buy larger quantities direct from manufacturers, to pass along savings to our customers and on-line clients. 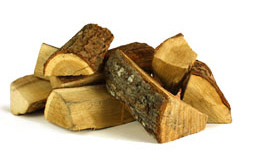 New to 2015, Back to Basics is planning on adding Kiln Dried Firewood. This project will set us aside from any other firewood producer in the state of Connecticut. We will be the only producer of USDA certified kiln-dried firewood.